United Airlines has just drastically dropped the price on a ton of their flights from Vancouver to countries in Central America, including Costa Rica, Belize, Panama, El Salvador, Honduras, Guatemala, and Nicaragua. The date range with the cheaper flights appears to be between September and December 2015. November and December are usually solid choices for Central America, steering clear of the rainy season. ^^ Not to be confused with Google Flights Explore. They're not showing up on Google Flights Explore ... yet. 4. Now, near the bottom, adjust the length of the trip you're looking for. This will automatically adjust all of the available prices showing in the calendar view. ^^^ The prices shown here are in Canadian dollars. 4. When you see a price you like, click on it. The rest is pretty straight-forward. Keep clicking until you get to the page with the 'Book with United' button. When you click on the price ($399 in this case), it will take you to the United website to complete your booking. If you have any troubles booking on United.com with a Canadian credit card, I would suggest taking the same dates and destination that you found on Google Flights, and trying your search manually over at www.united.ca - which may work better. You may be able to find similar fares flying into one of the cities listed above, and out of another. example: into Belize City (BZE) and out of Panama City (PTY). Update April 12 @ 8 PM - These prices came back today, in case you missed them last time! vancouver, yvr, flight deals, san jose, panama city, panama, pty, central america, tegucigalpa, honduras, tgu, san pedro sula, sap, managua, nicaragua, mga, belize, bze, liberia, costa rica, lir, roatan, rtb, san salvador, el salvador, sal, united airlines, sjo, guatemala city, guatemala, gua and belize city. 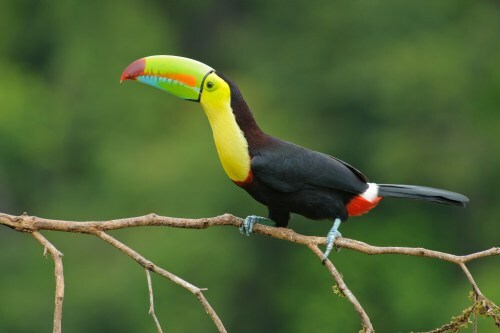 19 Responses to "Vancouver to Costa Rica | $399 roundtrip including taxes | other Central American countries for $20 more"
Thanks for the heads up! Although the flights I've been seeing involve 2 stops one way and a 6.5 hour stopover on the return. Still, for the price, it's not bad! Just got 2 Tix from YVR to Panama for CAD$843. Thanks!!!!! How far out can you book? 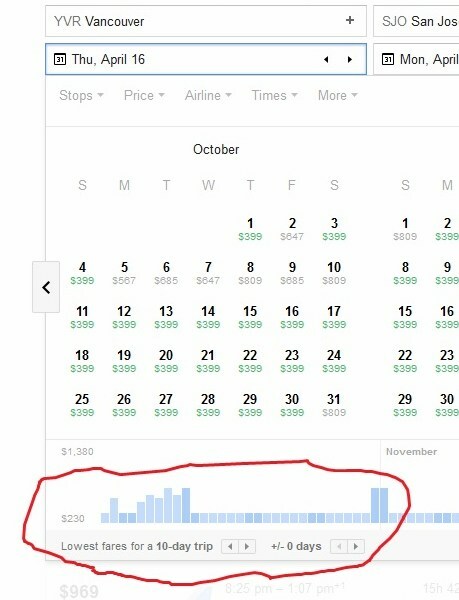 Doesn't seem to be a booking option for November flights. Great timing - I've been planning a trip to Nicaragua, looking at roundtrip prices that are double compared to this deal. I just booked a great flight to Managua in Sept (one shortish stopover each way) for $431 all in. I ended up booking it through a travel agent but we are going into Managua and home from Tegucigalpa for less than $1k for the 2 of us so we're happy! And our return date is Dec. 10, after that the prices went up. Managed to book directly through the United website. go at the end of November since dry season starts in December. Nooooooooooooo is the price gone now? Unfortunately, it does look like prices went back up this morning, all across Canada. Also, they say the cheapest day to book flights is on a Tuesday, which March 31 was. I may try again this coming Tuesday to see if they drop again. Yep, the cheap flights from Vancouver to Central America seem to have re-appeared tonight (April 12). Slightly higher this time by about $40-$50. I was originally shown this site because of travel to Tokyo, but that didn't give me any deal (1400+) so I was looking for south/central America, but still 1100+? Kyle, make sure you're signed up to receive the e-mail alerts. When Chris posts something, the prices can change back to normal quickly (within 12-24 hours) as the seats tend to sell out fast. So you want to make sure you know as soon as something is posted, and not a few days too late. The low fares are gone again... will they reappear? Time will tell. They've disappeared and reappeared a couple times now. Stay tuned! I don't see the bar graph icon on google flights anymore (in Chrome or Firefox on Mac OSX). Did something change recently?? Google seems to be up to something. I've been noticing the bar graph icon disappearing and re-appearing the last week or so. If you click on the return date it should bring up the same calendar view. But sometimes it seems like the 'trip length' adjuster disappears too.